The gospel music genre can easily be mistaken as the “underdog” of the music industry. I say mistaken because it is known that when it comes to album sales, gospel music fans can be said to “put their money where their mouths are”. This is one of the thriving genres in South Africa. It has to be noted though, that gospel musicians in the current music economy come at quite a premium, particularly among the youth. This is perhaps exacerbated by the fact that mass media tends to give attention to individuals and musicians who are about “living the life” and obsessed with materialism. Lavatory Records had the pleasure of interviewing Praise Infinity, a South African gospel group made up of young dynamic individuals who love to praise God. The trio spoke to us about the perceptions of youth towards worship based musical content, their roles within the group and purpose through music. LR: For those who don’t know you, what is “Praise Infinity” all about and what’s the reason behind the choice of name? 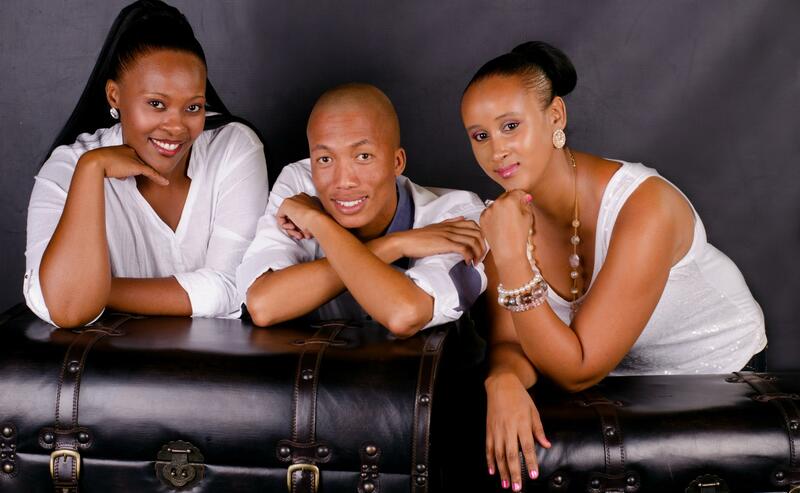 Praise Infinity: Praise Infinity is a Gospel group of three individuals; two ladies and one gentleman. We actually conceptualised on the name for the group for some time, before we decided on the name ‘Praise Infinity’. What happened was, in the process of recording our first album, we realised that most of our songs spoke of praising God. Having found out that we love to praise him, we then called ourselves Praise Infinity. That is what inspired the name choice. LR: Who are the members of Praise Infinity? LR: Tell us about Praise Infinity as individuals and the personality dynamics within the group? PI: We are very much alike, but the roles we play in the group are different, which brings about diversity in the group. For instance, Palesa Mlangeni adds value to the success of the group by her directorship skills, as well as assisting in vocal arrangements whenever we work on a new song. While Omphile Madiba works to contribute with his communication skills, such as interacting with the fans during live performances and providing the group with written material for publicity here and there. On the other hand Naledi Ramme works to motivate the group to move forward against all odds. LR: In this day and age of “turning up” and “poppin’ bottles”, why did you choose the gospel genre? And how easy is it to live a life that exemplifies the “gospel”? PI: Demanding as it can be to live the life that exemplifies the gospel; we live our everyday lives depending on God’s grace to live up to the standard of what we preach through our music. We chose this music genre because of our great love for the Gospel of our Lord and Saviour Jesus Christ. Since we gave our lives to Christ, it requires us to live in his will and purpose, and that includes what we sing about. Psalm 24 says “the Earth is the Lord’s and all that is in it”; so if the world and what is in it belongs to God, it follows that music would too. So by virtue of being God’s children, praising him with our voices seems to be the best thing we could ever do. LR: Do you find it challenging to spread the gospel message through music particularly to the youth? PI: Actually contrary to the expected, it is not challenging at all. Although our music genre is Gospel, it is not religious – it does not speak about the rights and wrongs, do’s and don’ts and good and bad. It does not demoralise, degrade or pass on judgements. If you have listened to any of our songs, you would realise how relevant our music is to the youth, and on how it conveys God as a loving Father, not some old and grumpy bearded man who just wants to always punish someone. Our music is a tool of praise, as the name of the group in itself denotes/suggests “Praise Infinity-unending praise”. In that respect, much as the old can enjoy our music, the young can’t get enough of it. LR: Which artists or producers have influenced your music? PI: Ntokozo Mbambo and Cece Winans. LR: Where do you see the direction of the music industry going, especially with the internet changing the dynamics within the game? The direction of the music industry has changed, and only few musicians are keeping up with the changes, while others are sinking. This is because many recording companies blindly refuse to capitalise on the revolutionary process that the music industry is undertaking; for example, some record companies are still stuck in the traditional system of producing/promoting artists or newly released music. And for those who make use of newly established methods or platforms e.g. Internet (social networks) do not always succeed because such methods/platforms don’t always yield the expected results. The development of the internet has gained the momentum and influence on how things are done or can be done now. It has weakened the usual system of producing/selling hardcopy discs; and thereby creating a platform for the fans/audience to access the artists’ music material online, which sometimes occurs with or without the artists’ permission. However from our point of view, much as CD copies cannot be sold successfully as they used to, especially after an increasing access of internet; we feel that the internet also plays a major role in the marketing and promotion of artists and their craft. LR: Which artists or producers have you worked or shared a stage with? PI: Praise Infinity as a group has not yet worked with any artists, although we mostly look forward to that. However in our first album titled Hosanna, we worked with Vusi Ndlovu as our Producer. LR: What has your experience of the South African music industry been like in general? PI: Honestly, it has been challenging. As artists or a music group, we are constantly confronted by the kind of people who come with confessions of fascination and compliments regarding our sound/songs, and making promises they do not keep or own up to. However that has taught us to depend on God’s word despite the challenges, and to use our God given abilities to make this a success we want it to be. LR: When speaking of gospel music in South Africa the same old names always come up, i.e. your Rebecca Malope, Lundi, Deborah Fraser, Joyous Celebration and a few others, do you feel there’s room for new acts like Praise Infinity? PI: Absolutely! We strongly believe that all these artists with big names and reputation once started somewhere, even where we have started. Many of them tell how difficult it was for them, but they persisted. Much as our sound is different we believe that there is a place and a room for Praise Infinity to shine, we all start somewhere, we all start small, but we do not remain small. LR: If you could name three artists (local or international) that Praise Infinity would like to work with in the future, who would they be? PI: In a mixture of both local and international artists that Praise Infinity would like to work with in the future, among many others, Cece Winans, Notokozo Mbambo and Loyiso Bala would be the names that come to mind. LR: Any future projects or events to look out for from you guys? PI: That would be our next album, followed by major live performances for promotion purposes, as well as keeping up with our fans and building a bigger fan-base. LR: Any special mentions you want to shout out? PI: We would like to thank our families, fans, and God who is the author and the finisher of our faith. 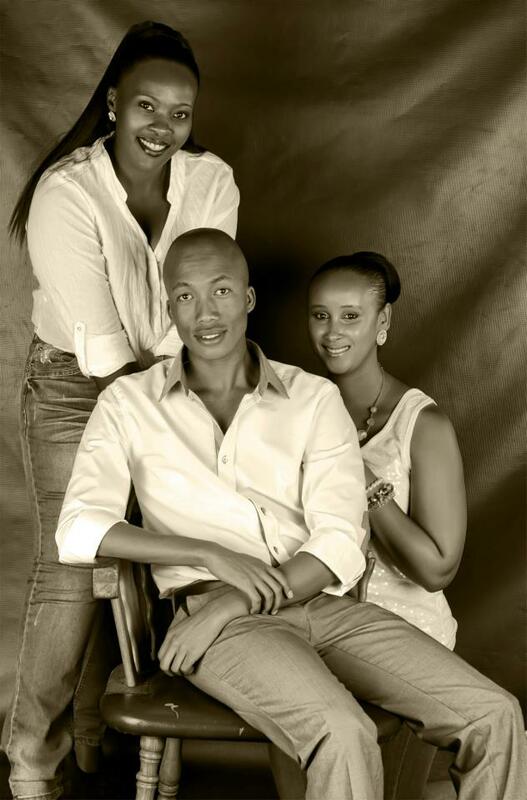 Thanks to Palesa, Omphile and Naledi for taking the time out to speak to us. Show Praise Infinity some love and support by following them on Twitter: @praise_infinity, Facebook, website.